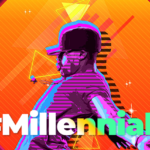 In this increasingly competitive and homogenous marketplace, how do we attract and maintain a long-lasting impression with our target consumers? For top consumer brands of today, a solid brand strategy is the key to setting oneself apart from the others. But for many new businesses, overlooking this vital component may cause them more than they bargained for. Consumers don’t always buy a particular good or service for utility purposes, but also because they ‘feel’ a certain connection with a particular brand. When consumers are given an array of product choices of the same quality, it is usually the brand which is more familiar and credible that they can relate to that is the deciding factor making it into the consumer’s buying list. 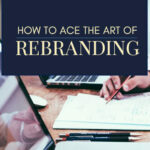 Branding and design is a core part of Corporate Identity for many successful companies who dedicate a great deal of time, money and effort to communicating their core value proposition of who they are and what they stand for right from the early stages of the business. A branding strategy, for them, is an investment. So, given how branding can impact the sales, where do we begin? Simply start with tangible elements that stimulates the senses. One way to do this is through using a good, well-thought of visual representations. These can be your logo, colour scheme, letterheads, templates or any marketing collaterals which will help define who you are as a brand. 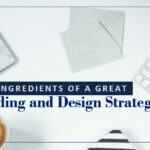 Deciding on a visual branding strategy can be challenging and time-consuming but definitely worth the effort to do so. Give the business an edge by being unique and original – for instance a patented logo, can be a competitive advantage to your business. The first step to this process is to think about the intangible things about your company. You have to be clear about your vision, mission, core values and the culture you want to cultivate and maintain. Then, see how these values can be translated into concrete, high-impact design materials and/or collaterals. Here at Decadence Design, we bank on industry expertise in creating aesthetically pleasing designs that truly reflects your brand. We make sure that every form not only connects, but also resonates and remain a long-lasting impression to your target customers. Certain colours and shapes definitely aren’t starved of qualities that can be associated with them. For example, blue is perceived to be calming and reliable. This colour sends out a sense of stability and stimulates productivity. Brands such as in the field of marketing, banking and investment, whose main focus is to establish trust and security finds the blue colour as suitable for their branding strategy. However, as this colour seemingly also curbs appetite, it may not serve well as a representation to brands in the F&B (food and beverage) industry. What works well for F&B brands is to consider red, orange or yellow colours into their colour palette. These colours are an effective way to stimulate our sense of taste and appetite. If you want to portray luxury, mystery, formality, you may want to choose black. On the other hand, white conveys purity, simplicity, peace and innocence. Moreover, for brands whose focus is to promote eco-friendly products or environmental issues, green is chosen as the dominant color as it is associated with nature, health and power. If you feel a single colour isn’t quite communicating your brand across adequately, you may want to consider having a colour palette. Some brands feel that they can convey a mood or tone best through a colour palette. When selecting colour combinations and mixes, having a good knowledge about the colour theory is an advantage. Aside from colours, there is also a science of persuasion behind a powerful, dynamic logo. The visual appeal of a certain line or shape has a certain messaging pattern and how you are emotionally perceived by your customers. There are important factors to consider when designing your brand logo. First, knowing your target audience enables you to have a clear idea on what shapes or colour you want. Second, simplicity is key. Having a simple logo makes your brand more recognisable. Look at Nike and Apple, for example. Lastly, create a classic, memorable logo that can stand the test time. Aside from colours and logo, your choice of fonts is an important branding element too. Having a great exposure to different types of typography will help you decide on what specific type of font you can identify the most. Even the smallest curves and straight lines of a typeface can send a message and have an impact on people’s perception. Serif fonts are typefaces with extra-lines or flourishes attached at the end of every stroke of the letter. Perceived personality trait of serif fonts are classic, traditional and formal. Common serif typefaces are Times New Roman, Cambria and Garamond. San serif typefaces, on the other hand, are the ones without flourishes connected at the end of every stroke of the letter. Looking at these kinds of typefaces gives us an idea of being simple, modern and minimalist. Examples of sans serifs are Century Gothic, Helvetica and Arial. If you think having only one typeface for all your marketing collaterals is not enough, you can also combine it with another typeface. Keep in mind however, to try and get the right font combination. So, research and expert advice is crucial. Once you have got a clear idea on these visual elements, they can be incorporated into your branding or marketing collaterals. 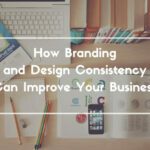 Remember consistency is key in your new-born branding strategy. Having consistency is very important as it is the foundation of building trust and familiarity. 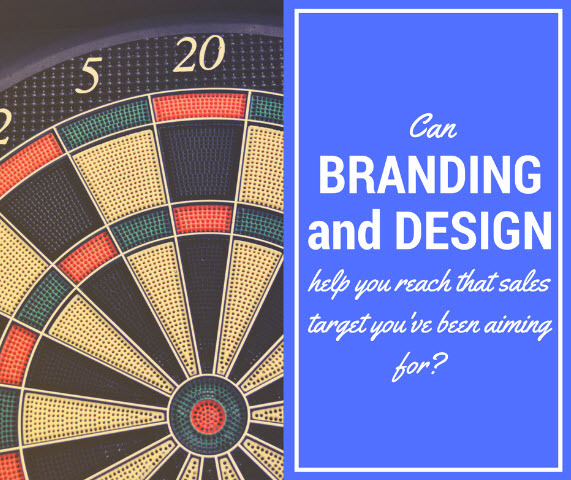 In a nutshell, branding and design can be powerful marketing tools to get you leads and turn these leads into loyal customers. 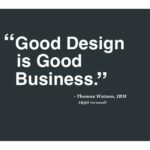 At Decadence Design, we understand that a brand is a promise. You can rely on expert advice on how to effectively convey the essence of your brand. Talk to us TODAY and let’s get your brand and business noticed! 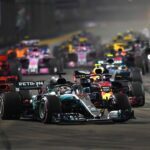 F1 – Designing for Speed.